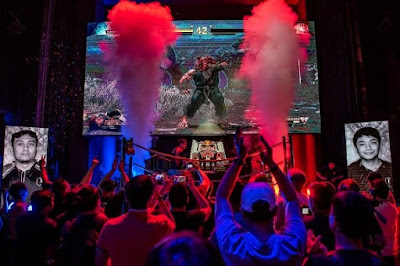 On Saturday, September 29th, 2018, PBE Don (Donald Gimperoso) defeated the best Street Fighter V: Arcade Edition players in the Philippines to advance to the global Last Chance Qualifier at the Red Bull Kumite Finals in Paris, France this November. The tournament took place at Chaos Nightclub, in City of Dreams, Manila. World Finals: Sixteen (16) of the best Street Fighter V players go head-to-head until only one player remains. For the inaugural Philippine Red Bull Kumite Qualifier, players from Luzon, Visayas, and Mindanao competed for the chance to represent the country in Paris, France, for the Last Chance Qualifier. The tournament brought out the best the Philippines had to offer for an afternoon of exciting back-and-forth action. In the end, PBE Don (Donald Gimperoso) stood tall as the first winner of Red Bull Kumite’s Philippine Qualifier after a close and highly emotional match against PBE Jamse (James Prado). Both Gimperoso and Prado are no strangers to each other, having faced off in competitive matches many times in the past. But yet, despite Gimperoso’s dominance, Prado became a sentimental favorite for the hundreds in attendance.